This card is signed by Dodgers Hall of Famer, Duke Snider. 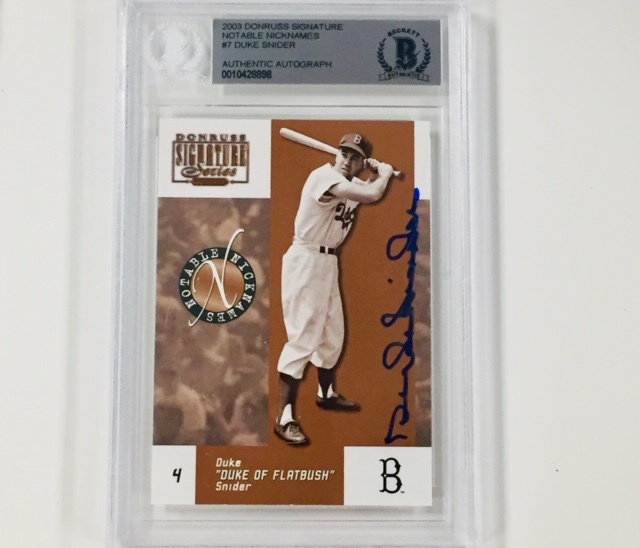 The autographed card is authenticated and encapsulated by Beckett Authentication Services (BAS). We have more Duke Snider signed cards available here on the Duke Snider page. Each listing has a quantity of just 1 – once these sell out, we will not have any more available. …or choose Pickup in Store during Checkout if you’re local to our Anaheim store.